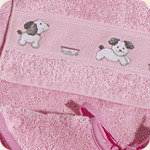 Soft cotton baby towels with Aida area on the hood to cross stitch designs. The 100% cotton towels are machine washable at 60 degrees. The 16 count Aida strip measures 1.75 by 17 inches and 26 by 290 stitches. 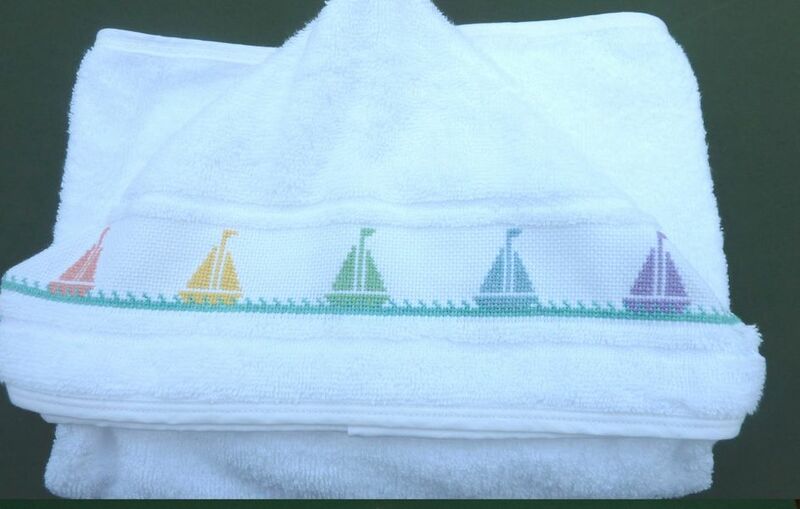 Anne has designed rainbow boats for the white towel worked completely in whole cross stitch using eight shades of stranded cottons and worked across the whole width of the Aida area. A chart will be included with each towel. Also available in off-white and ecru. Please inquire if you are interested in one of these colours.